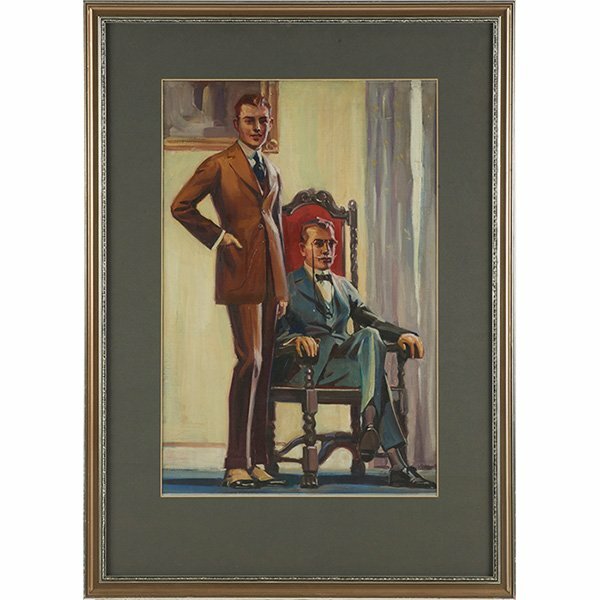 Grell Portrait auction August 19 at 10:00 am Chicago | Louis Grell Foundation - "Showcasing the Legacy of Artist Louis Frederick Grell"
This fine portrait of a man and his son (possibly former Illinois Governor Jim Thompson) is going up for auction at Treadway Toomey in Chicago on August 19, 2015 beginning at 10:00 am CST (Chicago) time. Lot #1558. From Illinois Governor Jim Thompson collection. We believe this to possibly be a young Jim Thompson and his father, Dr. J. Robert Thompson. Jim Thompson was the former Illinois Governor.